This sailor’s deployment present to his wife sounds like something out of a Nicholas Sparks novel, made even cuter by the fact that it’s not fiction. After saying goodbye to her husband for an eight-month deployment, a Navy wife was surprised when flowers were delivered to her office. That, however, was just the beginning. The flowers, which she posted photos of on Imgur under the username CrystalM, contained a note that read: I love you and am going to miss you every second. 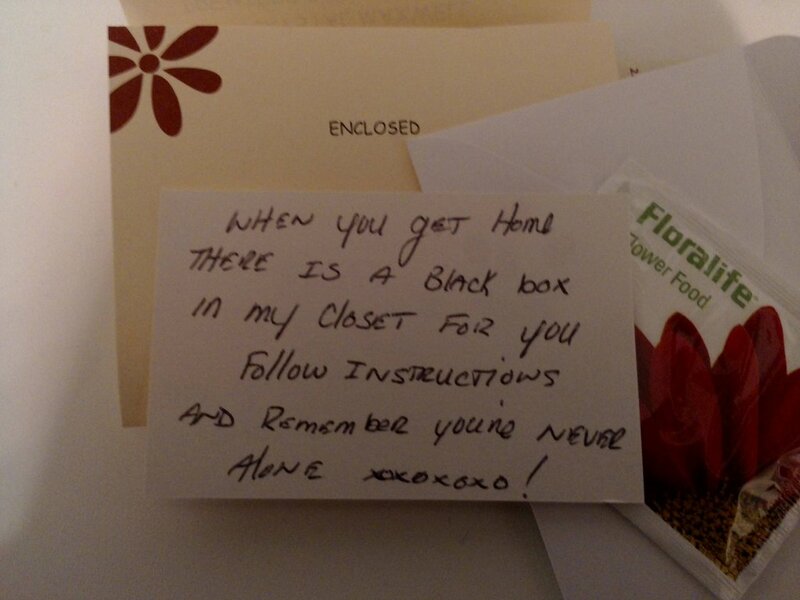 When you get home, there is a black box in my closet for you. Follow instructions and remember you’re never alone xoxoxoxo! Inside the box were 241 envelopes dated for every day of his deployment, which ends March 1, 2013. Each envelope contained a sweet thought. The note from July 3, for example, said the sailor was matching stars to reasons he loved his wife…until he ran out of stars. Unfortunately, no more sweet nothings for now, as she is under strict instructions to open just one a day, he wrote. Her Imgur post now has 4.8 million views. The story spread on Reddit, where wives all over the country got to complain that their husband never did anything this sweet and men likely cursed him for raising the bar so high. The woman will continue to post her favorite note from each week on Tuesdays on Reddit under Deployment Love Letters, so you can check back for the latest aww-worthy tidbit. How do you make it through long deployments away from your significant other? Update: The sailor is in the Royal Canadian Navy. Hey Americans, take a hint from your brothers to the north, will ya? Holy crap. This is me. with his arms around me and mine around him. be in his arms again. I love him. I love him so much.but he dnt love me.